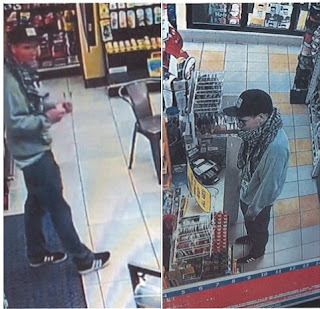 Roseville, Calif. - Roseville Police are seeking to locate a suspect wanted in connection with the robbery of three convenience store-gas stations over the last week. Between March 30 and April 4, the suspect robbed or tried to rob three convenience store-gas stations; two on Foothills Boulevard in Roseville, and one in the city of Rocklin. In the most recent robbery in Rocklin, he displayed a handgun. No Comment to " Roseville Police Seeks Man Suspected of Robbing Three Convenience Stores, One at Gunpoint "